This is Jaya here. Hope you all are excited about the theme for this fortnight just as we are! 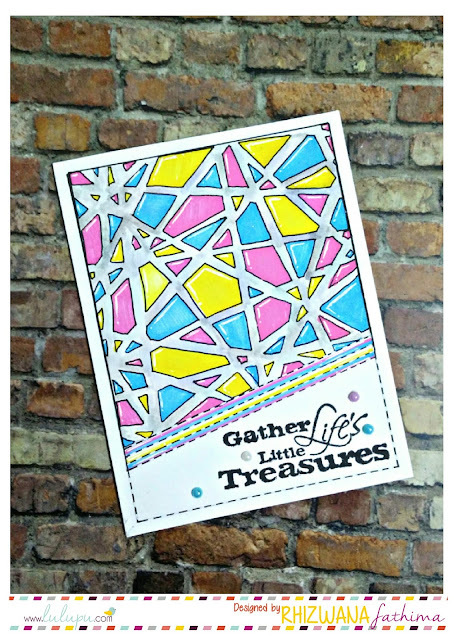 The design team is all geared up to inspire you all with gorgeous projects so do join us in the fun and win a beautiful stamp set offered by Lulupu! 2. 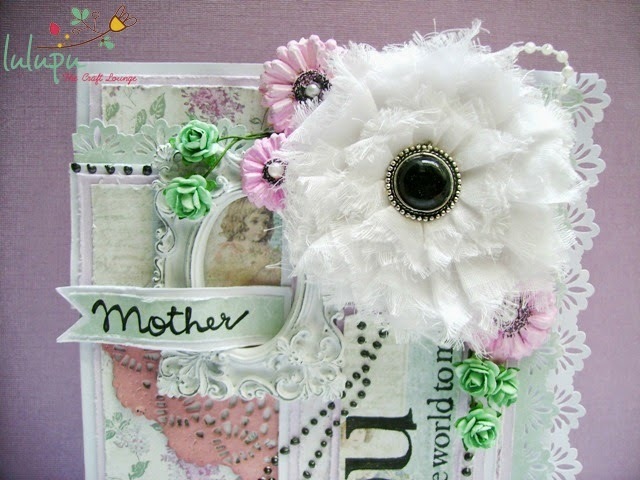 Use Border Punches and Flowers - The flowers must be Stamped OR Handmade OR Readymade ones. though we love handmade more! 4. Deadline to submit is 15th May, 2014 until 11:55 PM IST. So here is my inspiration for the challenge. For this card I have used the Fiskars sunburst border punch on the edge of the card. 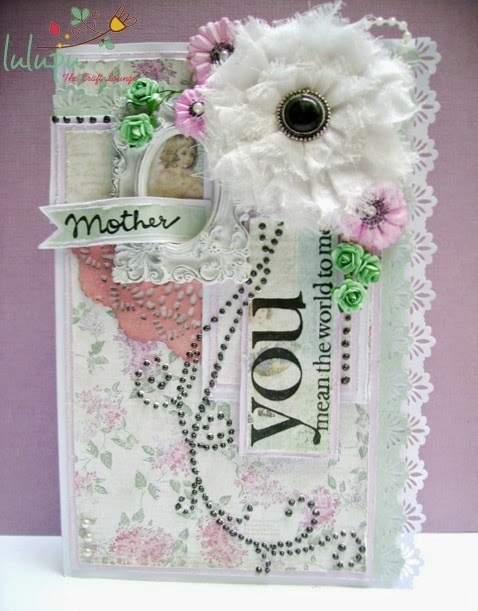 I think this punch gives the card a beautiful delicate look ..don't you? The swirl is made of Rangers liquid pearls- Onyx Pearl (black). The pink flowers are made using the mod podge mold and mod melts. I have acrylic painted them. the frame is a Prima resin treasure. I did not have any mothers day stamp so I did some selective stamping :P. I made use of the Technique Tuesday stamp- Favourite Memories and stamped my sentiment!! Isn't that cool? Hope you liked my card and were inspired to enter our Lulupu Challenge#30- Feminine cards! Wonderful card Jaya..so soft! 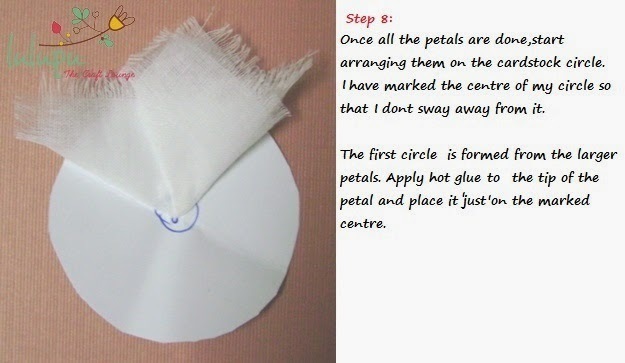 Loved the flower and thanks for the informative tute. The flower looks so pretty! Thank you for sharing the wonderful tutorial. Lovely flower! Thanks for the tutorial, got to try that. 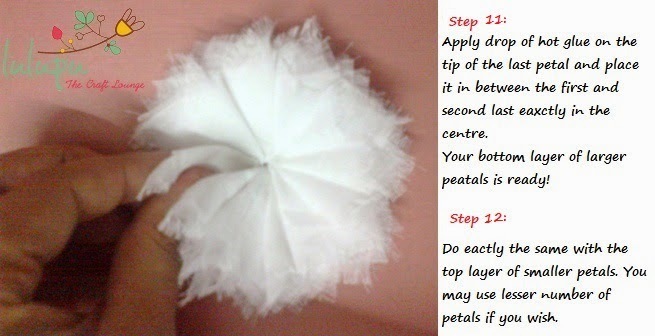 Beautiful card, TFS the tutorial for the flower. What a gorgeous card Jaya..loved soft feminine look and various embellishments..specially the swirls ..The flower is so delicate n beautiful Thanks for the tut! Marvelous card, Jaya! 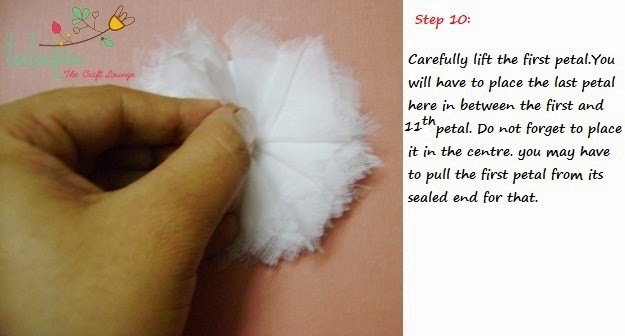 and fantastic tutorial for fabric flower. That is a beautiful card!! Gorgeously shabby chic :) The flower is very cute :)Thanks for the tutorial Jaya.